The Melrose Apartments are a converted 1940’s cinema complex. We have taken well designed and thought out apartments and paired them with a great area of one of America’s best cities to live in, Nashville. Situated in the vibrant and historic neighborhood of Melrose, TN, the Melrose Apartments have something for everyone. Boasting stainless-steel appliances, upgraded flooring, granite countertops, hardwood floors and solid wood cabinetry the A1 Alt apartment has 565 square feet to call home. With walk-in closets, washer and dryers, garden tubs and a flexible pet policy, you can be assured of modern convenience easily at hand. With all the onsite amenities living at theMelrose Apartments affords you, there is always something to do. If you live an active lifestyle, our 24-hour fitness center with a dedicated fitness concierge is just up your alley. Residents also have a saltwater pool for lounging by, outdoor grills and lit courtyards to provide extra living space to enrich your home. This is Nashville, after all, so the Melrose also has a music performance area dedicated for the resident’s use. With the A1 Alt one-bedroom apartment at the Melrose Apartments, you have a flexible pet policy. This unit is move-in ready and has plenty to offer in the way of conveniences, amenities and luxury living. The Melrose has a great vibe and with so many attractions and venues on your doorstep, there is a wealth of opportunities for an evening close to home or a night out, on the town. Siema, Fenwick’s 300 and The Sutler Saloon are in the complex, combined with our convenient location close tothe 440 Parkway and I-85, the rest of Nashville is close at hand. Vanderbilt University is less than 3 miles door to door, so really, this the perfect location for faculty and students. Your new home is waiting for you. 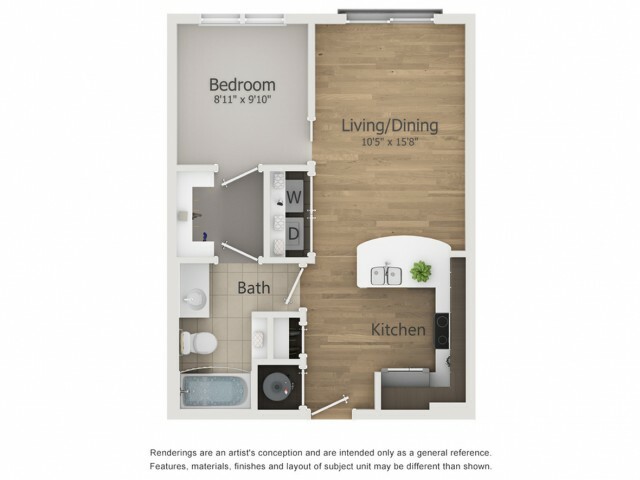 Call (615) 696-7448 now to tour the A1 Alt one-bedroom apartment, or simply click here to apply. Valid Through : Nov 27, 2018 - Apr 30, 2019 Lease and move in by April 30, 2019 and receive waived fees. This is a savings of $275.00!! Melrose Apartments is pet-friendly! There is a one-time fee of $250 per pet. Monthly pet rent is $25 per pet. Maximum 2 pets allowed; no weight limit. Breed restrictions apply.